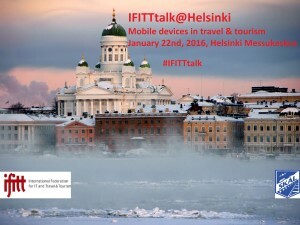 [email protected] took place during the Nordic Travel Fair 22nd of January, 2016 in the Helsinki Expo and Convention Centre. 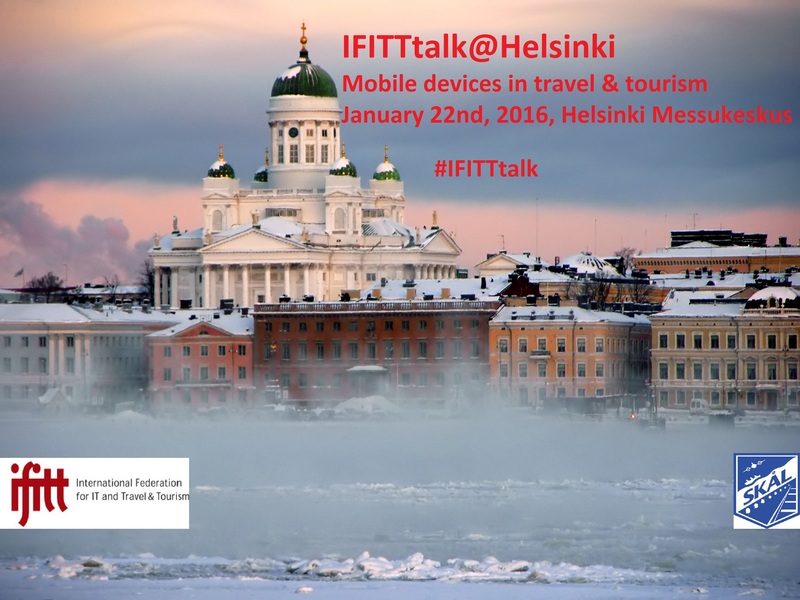 This intensive IFITTtalk focused on the mobile technologies and their profound impact on the tourism industry. The event was organized in partnership with SKÅL International Finland in order to promote both organizations and reach a wider audience for the event. 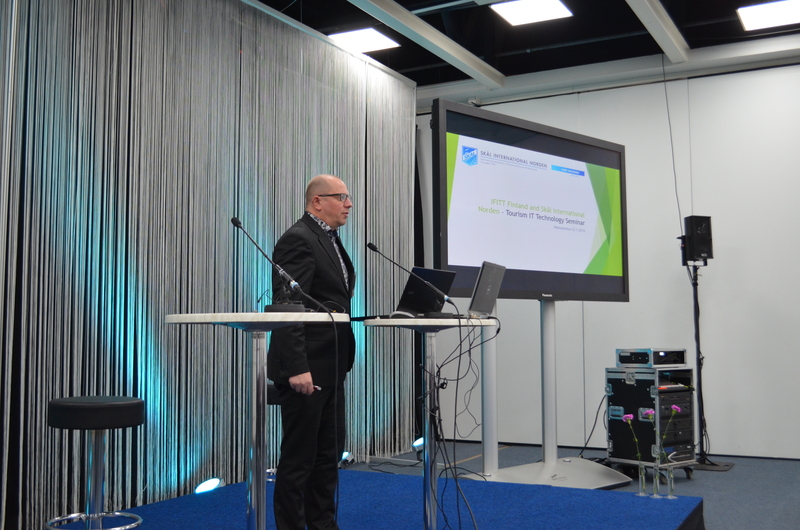 Nearly 30 people both from industry as well as from academia participated in the main event hosted by Dr. Juho Pesonen from University of Eastern Finland as the president of IFITT Finland and Mr. Kari Halonen from Toolbox Travel Ltd as the president of SKÅL International Finland. We are living in a mobile world in which tablets and smart phones are important part of our everyday lives. We use them in many ways and many times during the travel planning process before the trip, during the trip and after the trip. Before the trip mobile devices are especially utilized during micro moments for dreaming and planning the trip. During the trip mobile devices are used to among others to search for information, take pictures and keep in touch with social circles in various social media channels. After the trip mobile devices are used to upload pictures and videos and tell about the experiences. As the tourists are increasingly using these mobile devices it becomes critical for tourism businesses to understand the impact of mobile world on their business. This short workshop aimed to provide tourism businesses and academics the latest developments in the field and act as a groundwork on which to build future plans on. 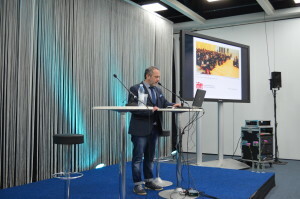 There were three presentations during the [email protected] First presentation on Mobile hotel digital marketing was given by CEO and Co-Founder at Nelios.com Dimitris Serifis who is also serving IFITT as ICT & Chapter Director. Dimitris provided insights from Nelios on the current state of hotel marketing in mobile world, demonstrating the increasing impact that mobile devices have on customer information search and purchasing behavior. The second presentation was given by Tuomas Jäälinoja who is a senior account manager at Google. Tuomas provided the participants an up to date view on what is happening in the mobile travel from the perspective of Google, an industry giant in the field. Tuomas gave us statistics on how mobile is influencing customer journey in tourism and even ideas on what is coming up next. 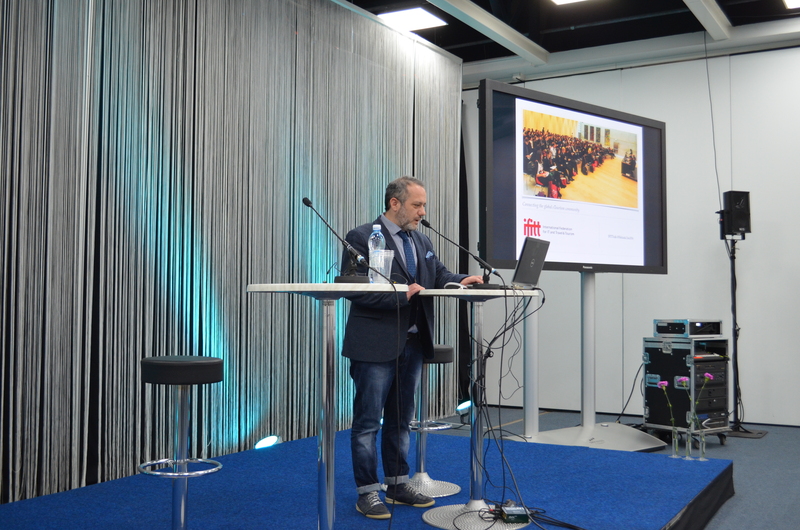 In the last presentation Kristian Fahler provided ideas and experiences on developing mobile websites and creating a mobile tourism application. After the presentations a discussion was had between the participants on the direction of mobile business and developments of mobile marketing strategy. This discussion also helped the participants to network with each other. 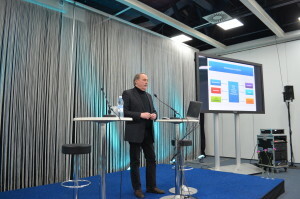 After the main event a panel discussion on digital tourism customer experiences was organized in the Sonera Inspiration Stage at the Nordic Travel Fair main exhibition. The session was chaired by Mr. Kari Halonen and the panel consisted of Juho Pesonen (University of Eastern Finland), Tuomas Jäälinoja (Google), Eva Torra (Apollomatkat) and Erika Rintala (Qvik). The panel discussed many aspects and future directions of digital tourism and had a large crowd of nearly 100 people following it.